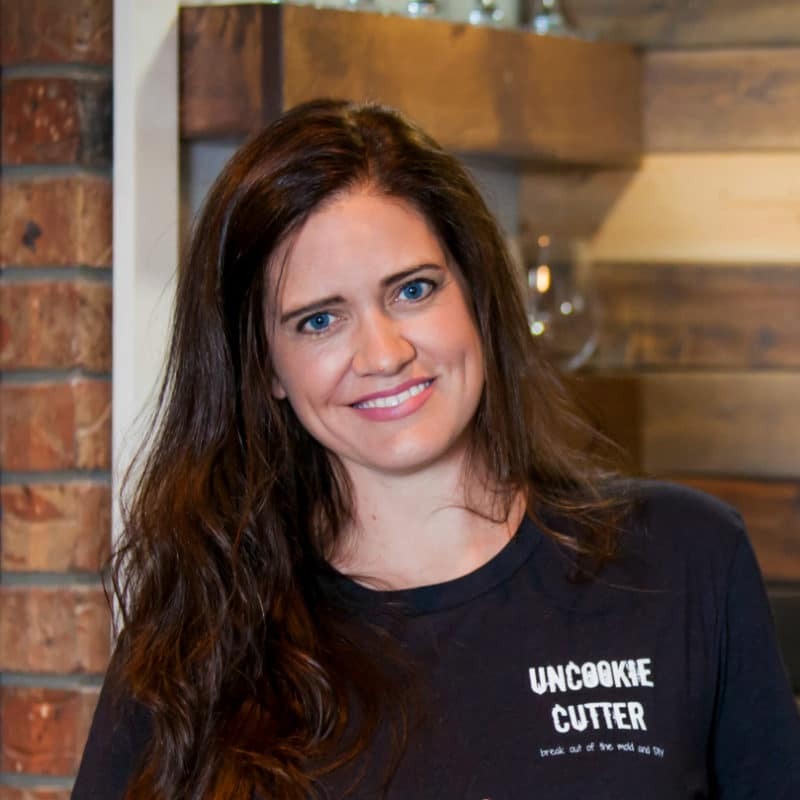 During our recent courtyard makeover, we had two projects that we couldn’t do ourselves. The first was running the electrical wire to our new outdoor post lights – I don’t do electrical work for the most part – and the second was installing our new side door. This door was in such bad shape that it literally had water coming through the wood whenever it rained. Not like, around the seal, but through the door. So, needless to say it was in desperate need of being replaced. So, after doing some research we decided fiberglass doors were the way to go, and I am so happy with the results. Like, so happy that I want to replace all the doors in our house with fiberglass doors. This post contains affiliate links. Please see my full disclosure policy HERE. So, like I said the door before was shot. We get a ton of sun shining directly onto this door here in Oklahoma. Like, crazy 30 days in a row of 100 degrees and sun shines on it the whole time. With no storm door and no overhang, the door was ruined. So, we had originally decided to put a new door on with a new storm door. But, I actually am not a fan of storm doors. I don’t really like the look of them and it’s one more thing to clean. So, the new trend is fiberglass doors. 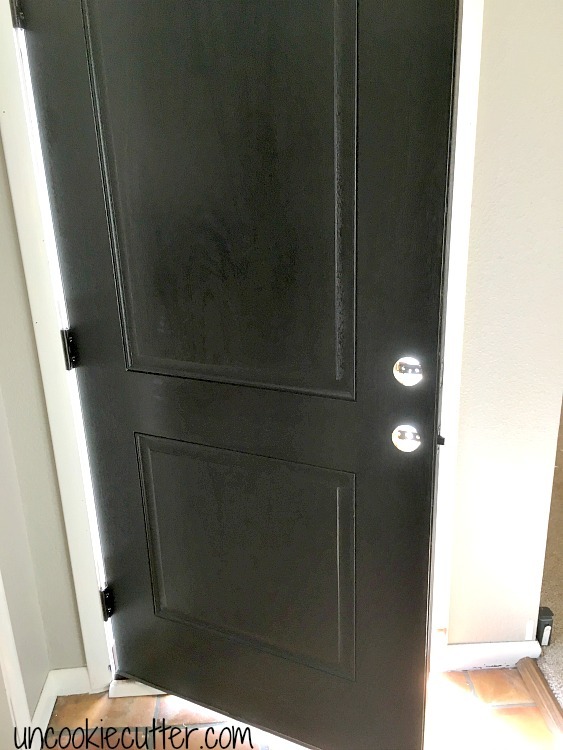 We started looking at them and talked to our contractor, who we totally trust and doesn’t sell doors, and our local hardware store and decided to give fiberglass doors a try. They are way more energy efficient than wood, as well as being weather proof and eliminating the need for a storm door. They are also more durable than steel. 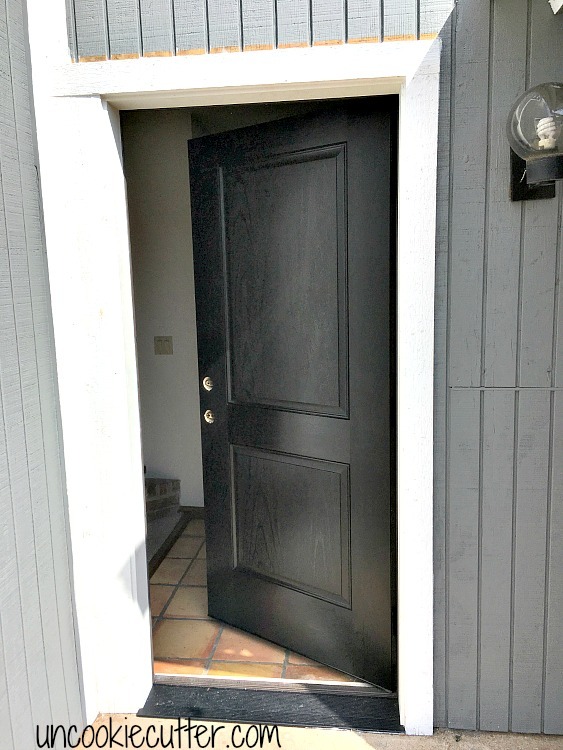 If you kick a fiberglass door, it won’t dent or ding. 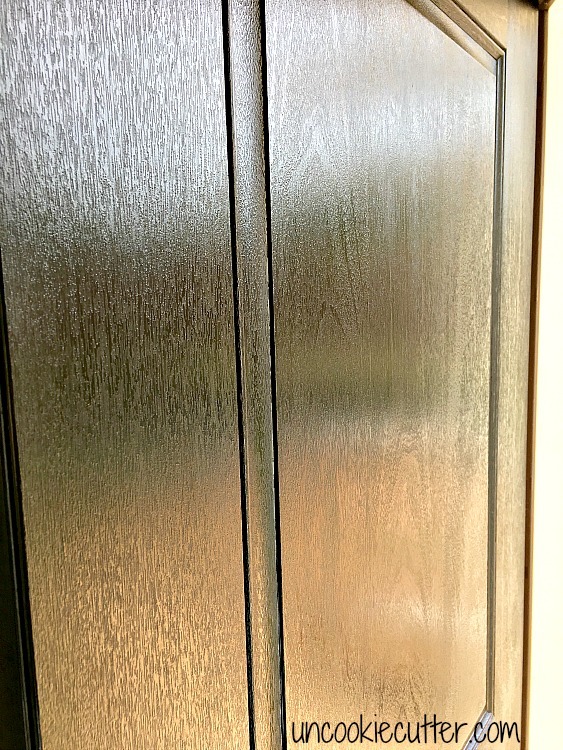 Plus, unlike a steel door it looks exactly like wood, and you can stain it (although it’s a little more complex than staining a wood door). 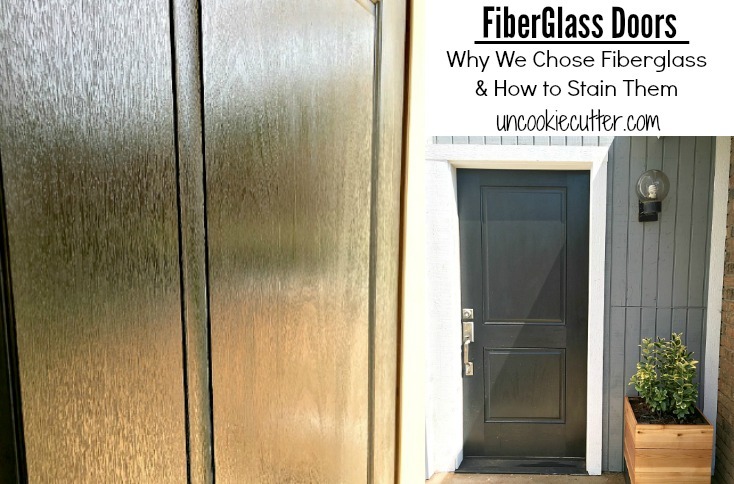 Even though fiberglass is a bit more expensive, it was actually more affordable than a new wood door with a storm door added. So, that why we decided to go with fiberglass. The one downside is that a fiberglass is a bit more work to stain. But, I think it’ll be so worth it because I am supposed to not have to do this again. 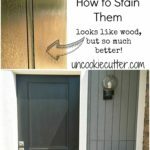 So, let’s talk about how to stain fiberglass doors. 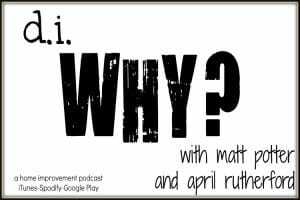 So, to start with the main think you need to know is that you have to use a gel based stain on fiberglass, not regular wood stain. 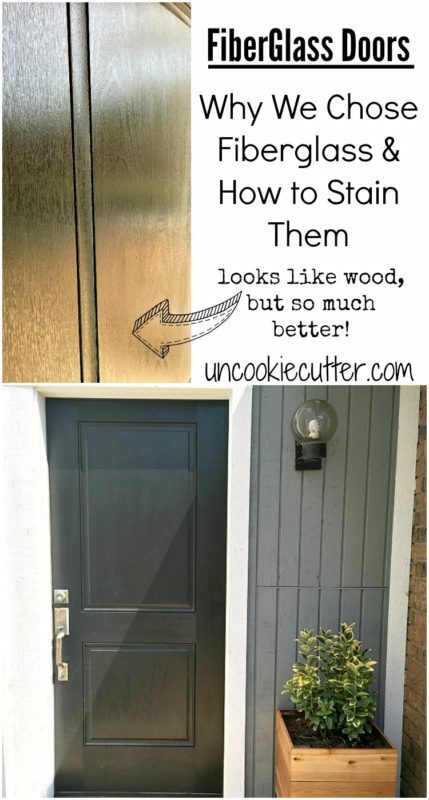 This gel stain is amazing and won’t chip or scratch like a wood door wood. 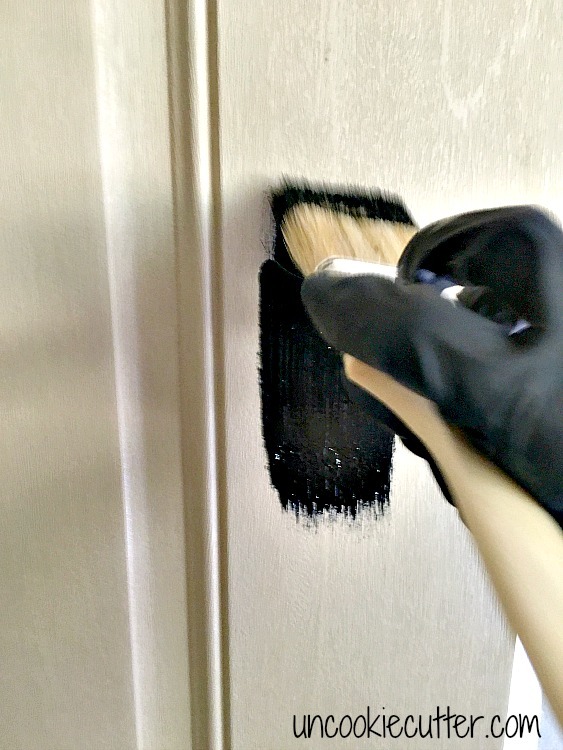 After you gather your materials, you’ll want to make sure your door is crystal clean. 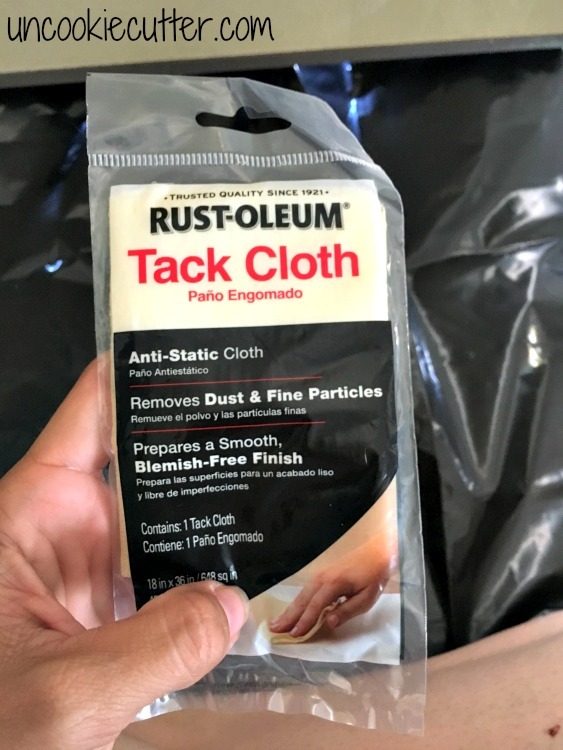 I used this Rustoleum Tack Cloth to get of any residue or little tiny pieces of lint off the door. I stained mine right after it was installed, so it was pretty clean, but I still made double sure just in case. Please take off the door knob. This is such a pet peeve of mine. 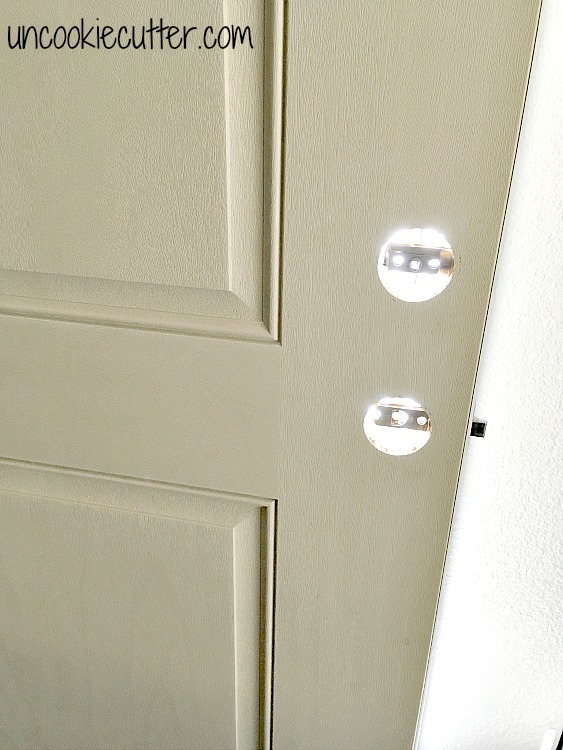 It’s so easy just to remove the doorknob, yet I see all these “tricks” on how to paint around it. You’ll never get such a clean, finished look as you will just taking the door knob off. Next I mixed up the gel stain. Use gloves! I have a habit of running around looking like I have a scary illness because my hands are constantly stained because I don’t use gloves. 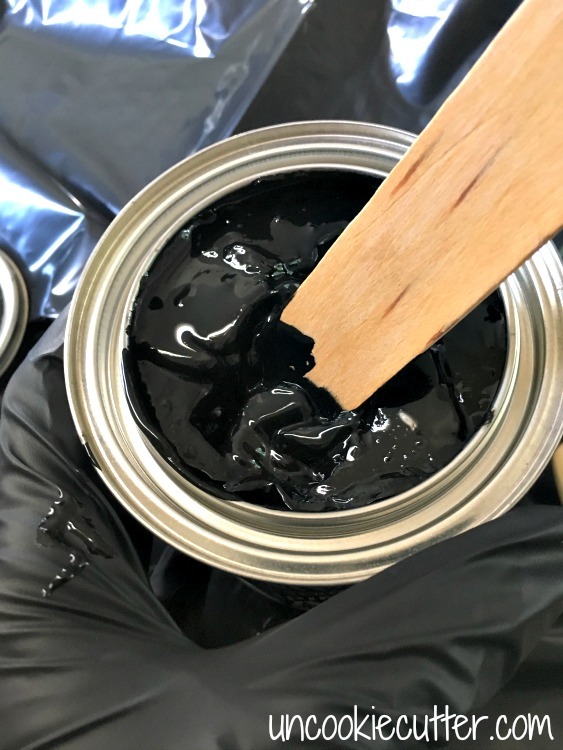 *I used Minwax Pro Series Wiping Stain in Antique Black that can only be found at Lowes. You have to mix it really well. Once it’s all mixed up, start applying it with the paintbrush. 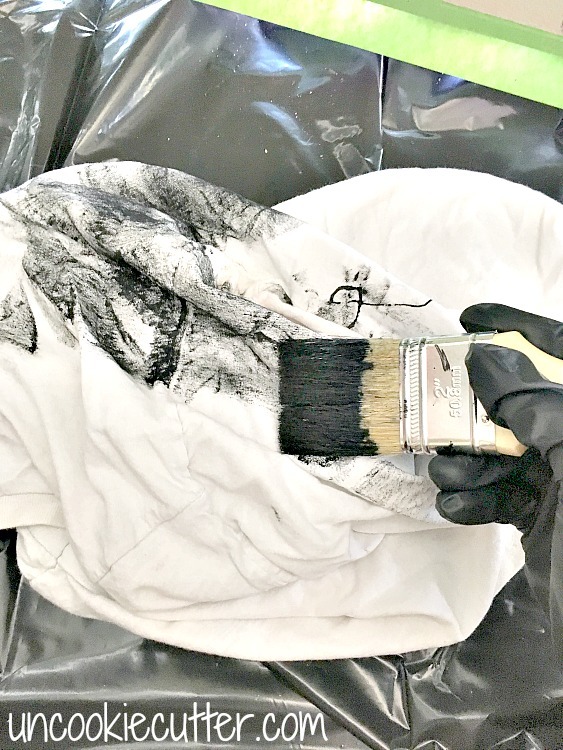 The gel is way thicker than stain, so you have to work it in a bit and you will use the rag to wipe off the excess when it gets to be too thick. I ended up wiping a lot onto the rags. It takes a little more elbow grease to work it in, but the coverage is stellar. I did two coats. 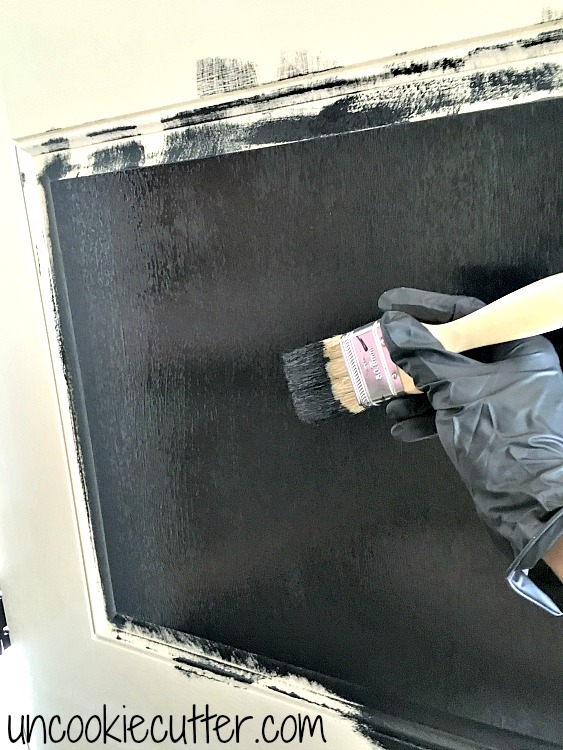 You have to let it dry 6-8 hours between coats and after the second or third coat is dry, you’ll need to seal it. You’ll need an outdoor safe urethane and I used Helsman Spar Urethane from Minwax in a satin finish. Apply it the same way as the stain, but this one only needs a few hours dry time between coats. That’s pretty much it. Not so bad, and totally worth it. Look at that finish! It’s so pretty I can’t hardly take it. I had to paint around the door a little, but that was easy. Now, I just have to find a new light. 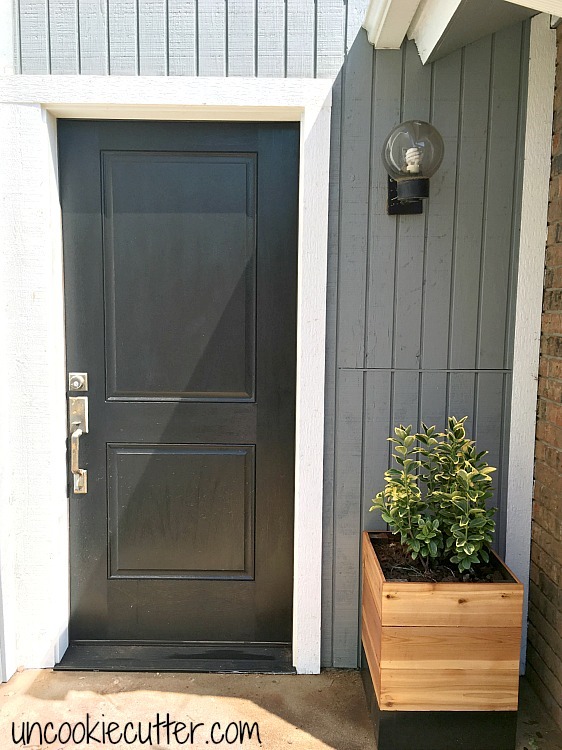 Get a tutorial on how I built the planters here. Sound off below if you have any questions. See ya next week!